Did you know that one of my favorite things in the world is peanut sauce? Peanuts are not just a nostalgic food for me, bringing back images of childhood, but I find them a rather delicious treat in savory and sweet dishes. 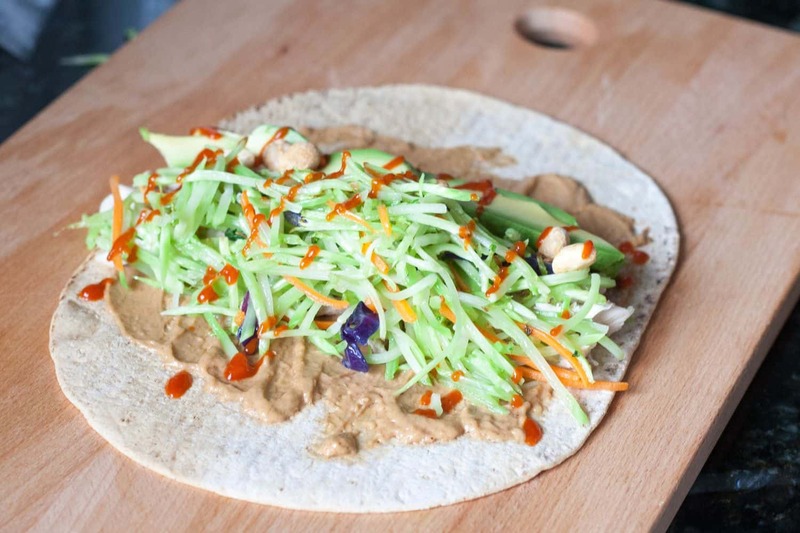 Today, I’m excited to share with you a peanut sauce recipe to use in a delicious Thai Peanut Wrap. It’s a wonderful way to use up leftover chicken and get in some veggies and healthy fats. 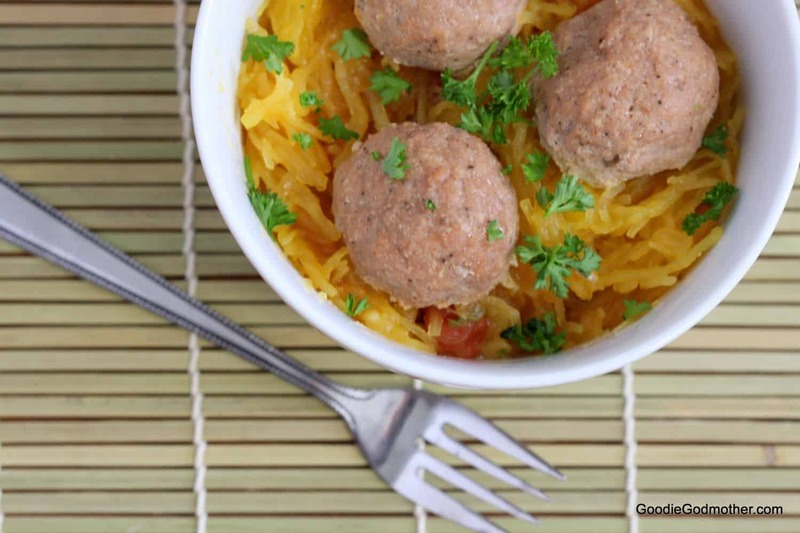 This recipe comes from Fit Mama Real Food. Today is the Secret Recipe Club reveal day for my group, and I’m so excited to be back after a month sabbatical. Fit Mama Real Food is a blog I like to visit periodically; Heather is a fitness instructor and mama to two who focuses her blog on her personal fitness journey and her efforts to feed her family a real food diet. 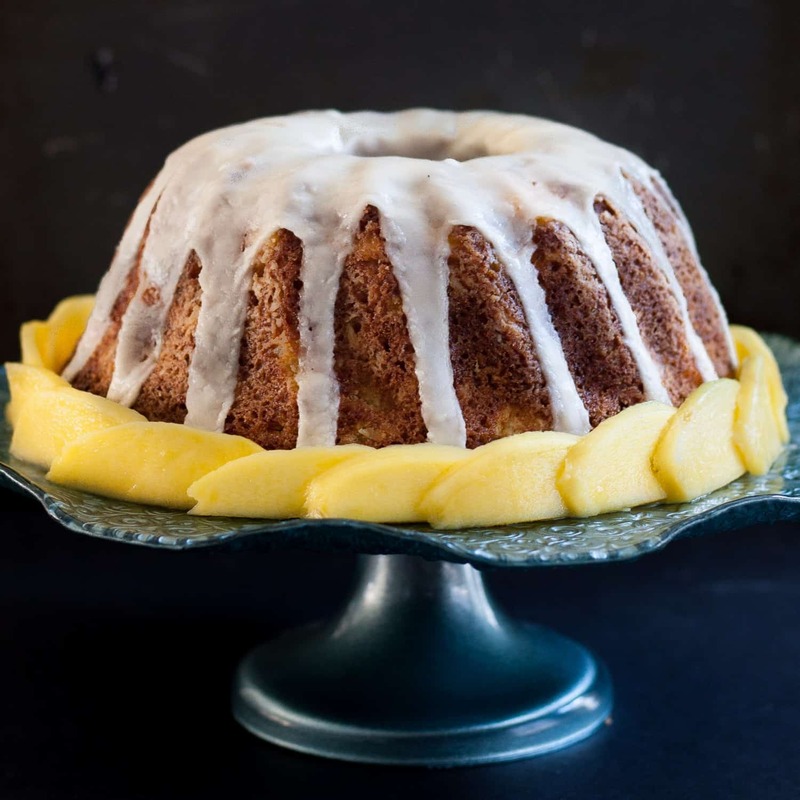 Despite the crazy amount of dessert on my blog, I try to do the same for mine, so I was really happy to have a chance to explore her blog in more depth and try out a recipe or two. 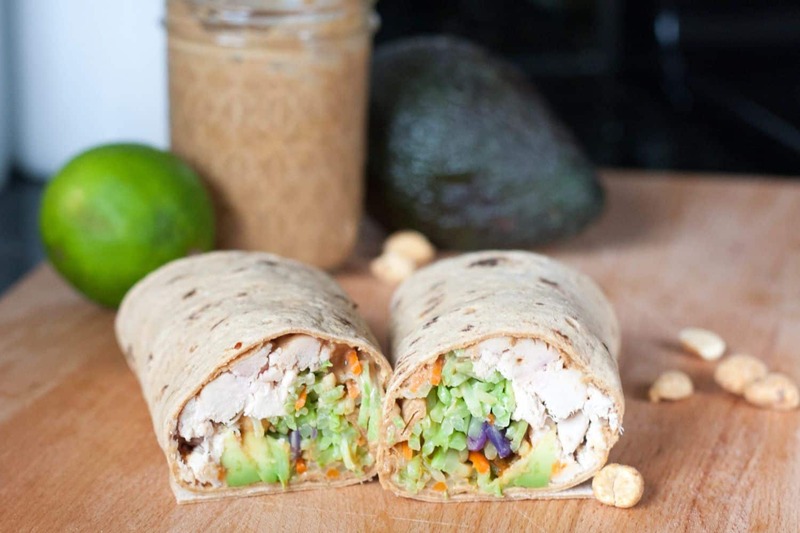 These wraps are so easy to customize to your preferences and make ahead, so they were a perfect quick lunch for me. I purchased the tortillas, used some leftover rotisserie chicken, made the peanut sauce in all of 5 minutes a day or so before I actually had the wraps, and sauteed up the vegetables in no time. You don’t have to make the peanut sauce in advance, but I did one day when I was preparing a few other meal items. It keeps about a week in the fridge, so you can make it on the weekend and use it in sandwiches, on salads, or on pasta dishes throughout the week. I still have some leftover I think I’ll use on some noodles tomorrow. If you don’t like chicken replace the chicken with your preferred protein, or just add more vegetables for a veggie wrap. I added more vegetables than the original recipe calls for because I really like bulking up my wraps with veggies, so I used about a cup of a shredded broccoli mix I had on hand and some sliced avocado. Use whatever you have on hand. If you plan to saute the vegetables, I would suggest peppers, cabbage, broccoli slaw, maybe some finely diced onions, zucchini. If you’d prefer to skip the saute step, a finely shredded lettuce or cabbage would work, and I think sprouts or microgreens would also be lovely! I deviated from the original recipe by subbing chili paste for chili flakes in the sauce, and then adding sriracha to the final wrap. I made the peanut sauce rather mild so all members of the household could enjoy, but I like a little kick! I also added some lightly salted dry roasted peanuts for crunch. These are totally optional additions, I think the wrap is great as originally written, but since I also think wraps and sandwiches are best when customized, go with what you feel. I believe in you. 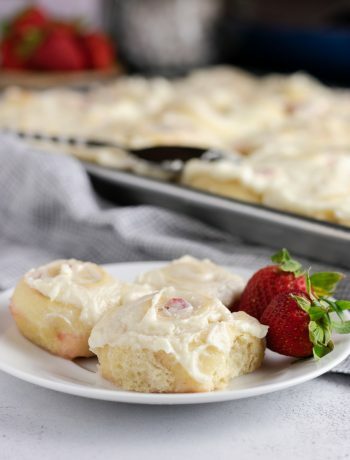 Be sure to scroll past the recipe to check out the other great posts this month! Make the peanut sauce by combining the water, peanut butter and soy sauce in a microwave safe bowl. Heat on high 45 seconds to 1 minute. Stir until the mixture is smooth. Add the remaining ingredients, stir until combined. Adjust to taste and set aside if you are making the wraps immediately. Transfer extra sauce to a mason jar or glass container and refrigerate up to one week. If you are sauteing the vegetables, heat 1 tsp oil in a skillet over medium heat. Add your vegetables and cook 3-5 minutes until softened. Set aside. 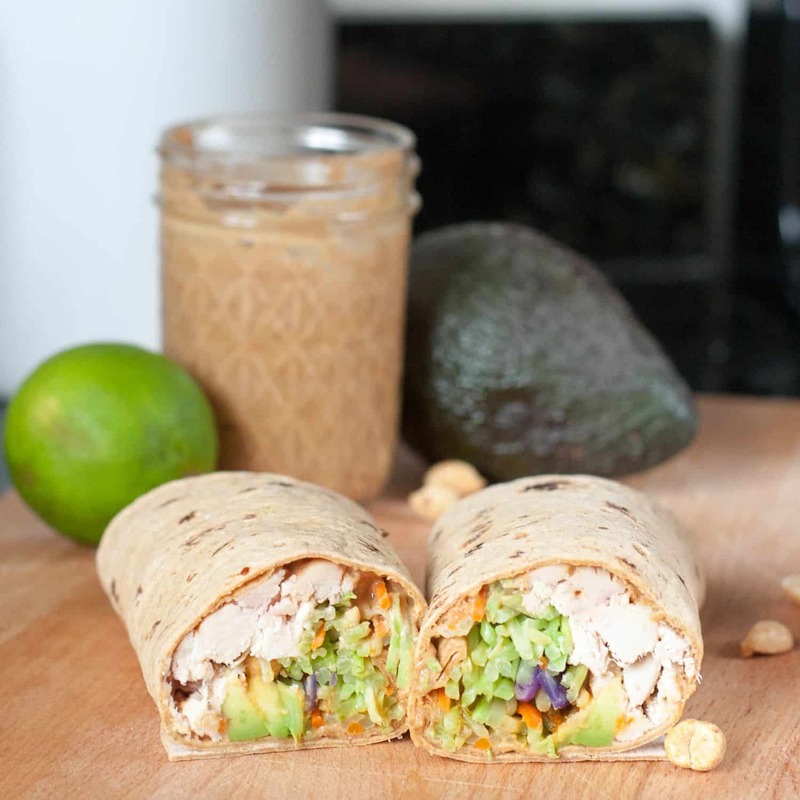 Spread peanut sauce on your wrap, top with protein, vegetables, avocado, sriracha sauce, and/or peanuts, wrap, and enjoy! *Peanut butter ingredients should ideally read no longer than "peanuts, salt". **You will only need the oil if your are sauteing your vegetables, not if you choose to use raw vegetables. Beautiful! Those look yummy and healthy – I love the idea of the avocado. You have no idea how badly I want to eat this wrap right now. Awesome photos. Pinning! I’m happy to be new the SRC this month – I’d love it if you’d stop by and check out my post. Thank you, and welcome to the SRC! This looks like a wonderful lunch or light dinner I know my family would LOVE! I had completely forgotten about these wraps! Thanks for sharing about them and bringing the tasty flavors back to my mind. Peanut sauce makes everything better. I also love the fact that you added broccoli slaw into them, such a great idea. Thanks for the great post! Isn’t it funny how SRC makes us remember older posts? Thank you for sharing such a wonderful recipe! I also love peanut sauce so much! It really does make everything better! This wrap sounds like something I would love, fresh and healthy. And I’m with you – I love peanut sauce! It sounds nice and easy to make, perfect for a quick lunch. Great choice for SRC Reveal Day!